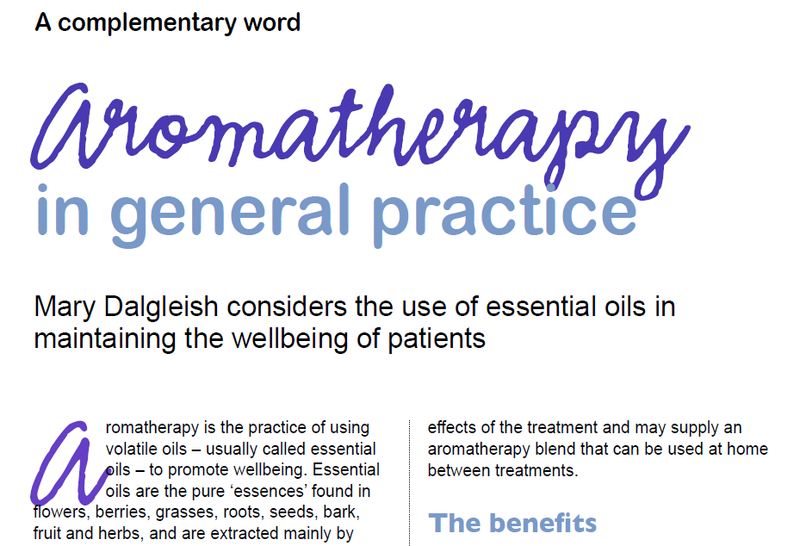 An article about aromatherapy, by FHT Vice-president, Mary Dalgleish, has been published in Practice Management today, as part of a series featuring therapies listed on the FHT’s Accredited Register. This introductory piece covers different modes of applications; potential benefits and uses, including sleep problems, stress, pain and infection; and areas of caution. In addition, it directs readers to the FHT’s Complementary Healthcare Therapist Register when looking for an aromatherapist. Practice Management is distributed to more than a 4,000 GP practice managers, who play a vital role in signposting doctors and patients to additional health and care services. Posted on 5 August, 2015 by Federation of Holistic Therapists (FHT). This entry was posted in news and tagged news. Bookmark the permalink.